Troon®, the leader in club management, development, and marketing is pleased to announce that David Hockett, PGA has been named the new general manager of Fargo Country Club in Fargo, North Dakota. As general manager, Hockett will lead all elements of the Troon Privé-managed club from golf and tennis operations, agronomy, and membership marketing to food & beverage operations. 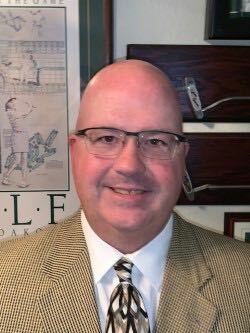 A native of South Dakota, Hockett is a 20-plus year veteran of the golf industry, having led operations at numerous high-profile clubs, including The Estancia Club in Scottsdale, Ariz., Anthem Golf & Country Club in Anthem, Ariz., Ancala Country Club in Scottsdale, and The Refuge Golf Club in Oak Grove, Minn.. In addition to his club-level experience, Hockett has also served as the chief operating officer of Millennium Golf Management, where he led operations for the City of Tempe Arizona’s golf facilities, and was the director of golf operations for the City of Phoenix, overseeing the city’s six golf courses. A Class A member of the PGA of America, Hockett holds a Bachelor of Science Degree in Mathematics from the University of South Dakota. He is a past “Merchandiser of the Year” award recipient in the private club category from the Southwest Section of the PGA.